We can personally deliver & install any safe within a 150 mile radius of the midlands. Phone for a quote on discounted delivery prices. 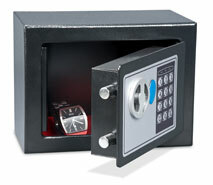 Dudley Safes is a leading UK manufacturer of safes & secure storage for both the business & home use. We stock security safes, office safes, deposit safes, fire safes, security cabinets, media safes, underfloor safes, vehicle and wall safes. We offer a wide range of services including delivery and installation with a nationwide service capability. With a high percentage of our production already going to the retail sector, we have the experience and expertise to advise our customers as to their requirements. Head office Address: Unit 81, Leyland Industrial Estate, Irthlingborough Rd, Wellingborough, Northamptonshire. NN8 1RT. Phone: 01933 675551. Vat Registration #32 3657 30.